In last Friday’s blog post, I included a photo of some sheep we saw while driving from Damascus to Aleppo. I thought you might like another look at that flock. 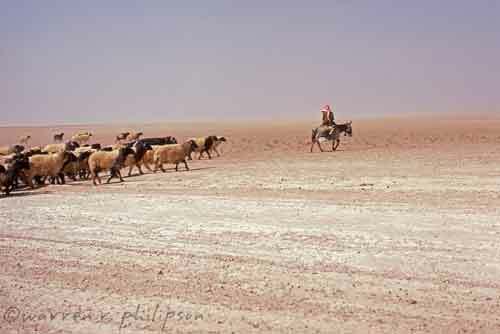 Sheep and shepherd south of Aleppo, Syria, 1982. So - if you want to drive those unwelcome Crusaders out, just poison their moat!